Featured on our 3D Tour Page you are encouraged to view 4 properties that designers Chad Norris and Jake Plocher transformed. If you are viewing the tour on a mobile phone or tablet, you can move the device through the landscape. The little triangles on the bottom of the page allow you to freely move throughout the home and zoom into each focal vignette. 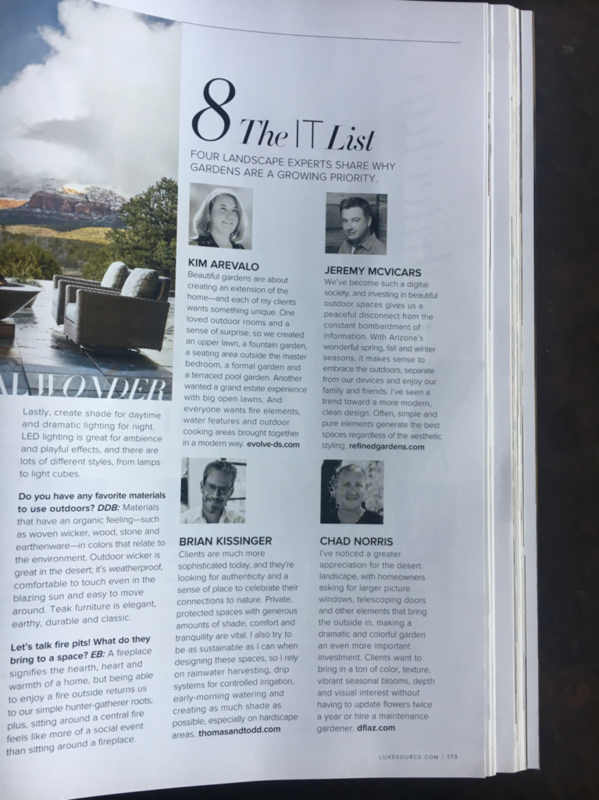 All of these homes have been featured in Phoenix Home & Garden Magazine. Please take a virtual walk through these beautiful high-desert landscaped homes. Vice President of Sales & Lead Designer, Chad Norris, is the youngest recipient to earn the coveted Masters of the Southwest Award presented by Phoenix Home & Garden magazine. 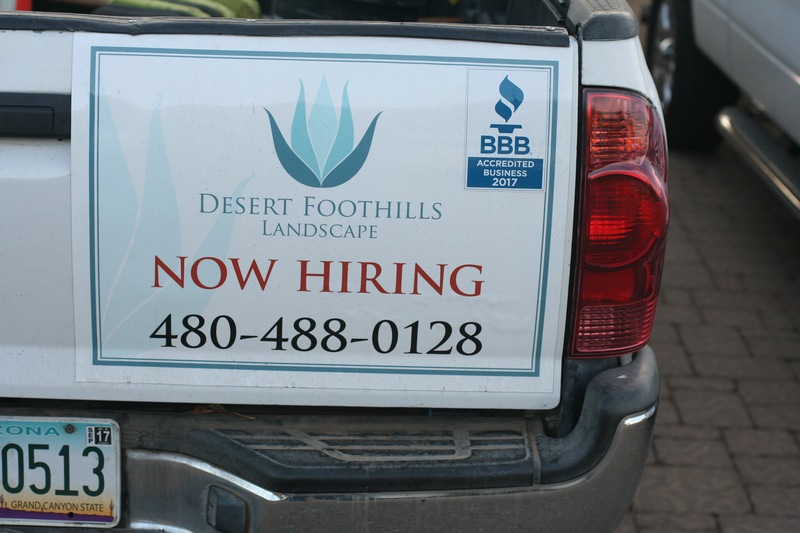 We hope to see you on the Phoenix Home & Garden Tour in April. 2017 Masters of the Southwest Award winner, Chad Norris, will be showing off the jaw-dropping landscape of the Goldwater estate. You can click this link to view a 3D Virtual Tour ahead of time. Join Phoenix Home & Garden for its 21st annual Garden Tour, where guests have the exclusive opportunity to participate in this self guided tour of some of the Valley’s most luxurious residential gardens, outdoor living spaces and landscapes. At each home during the Garden Tour, you will meet design landscape professionals, magazine editors and Master Gardeners while taking in the innovative design and unique plant combinations on display. 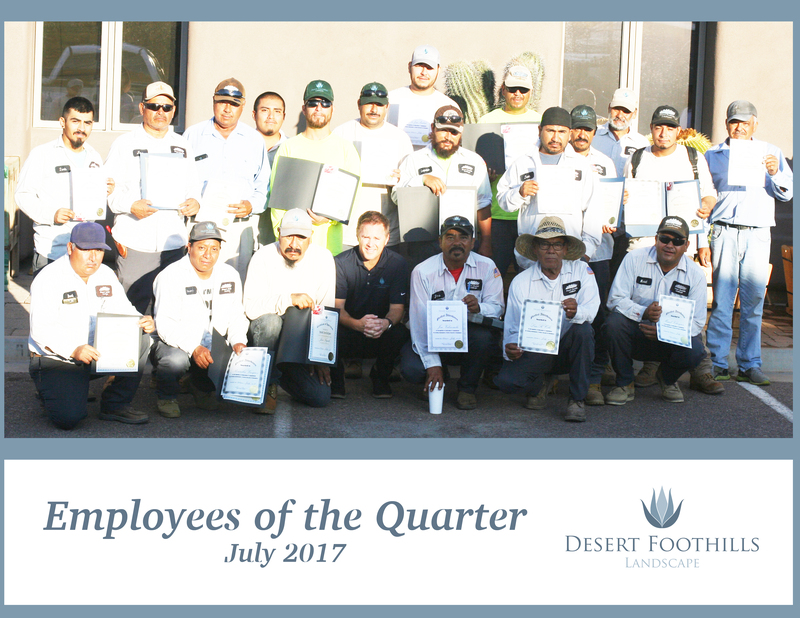 This event also serves as a fundraiser with a portion of ticket sales benefiting Desert Botanical Garden. A map listing the home addresses of the Garden Tour homes will be emailed to all ticket buyers one week prior to the event date. 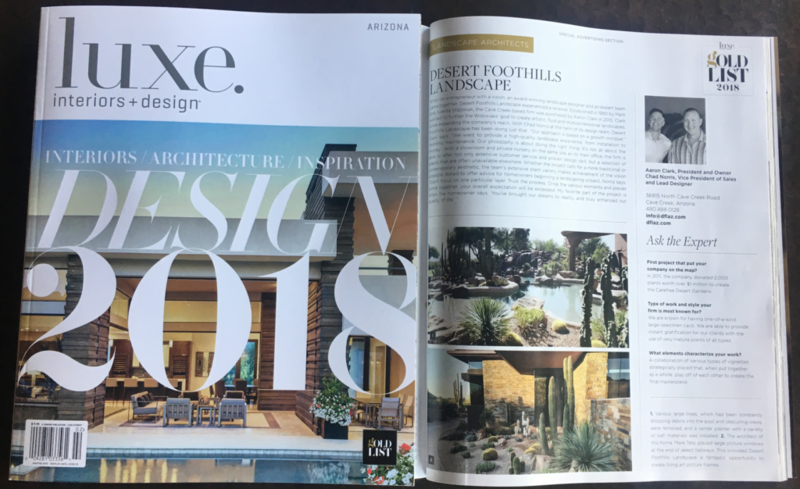 Desert Foothills Landscape is featured in Luxe Magazine Arizona in their October 2017 issue and Phoenix Home and Garden in both the October and November 2017 issues. 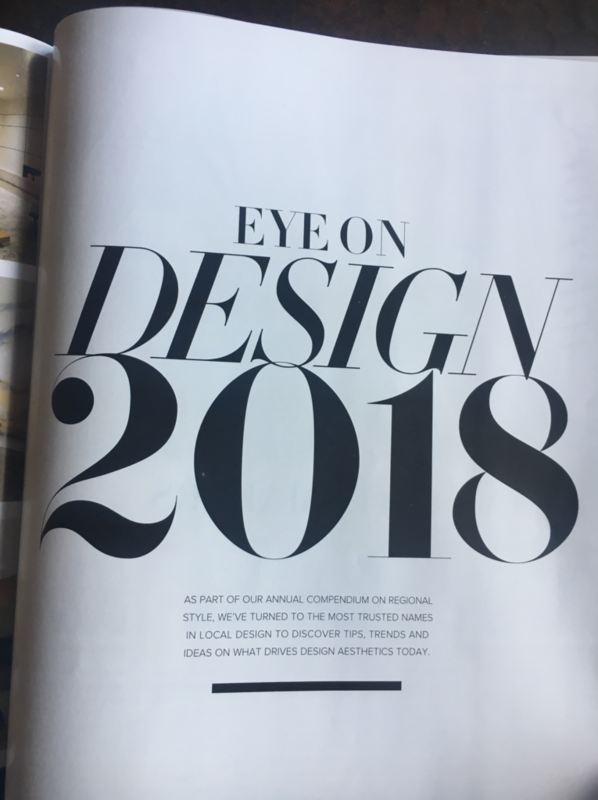 The October Phoenix Home and Garden article is titled “Good for the Soul” can be read here. The November article is titled “Where the Heart Is” can be read here. 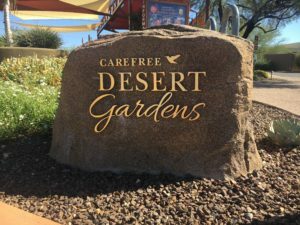 One landscape designer and his wife and five co-designers along with up to 2,000 plants worth $1 million have made the Carefree Desert Gardens a reality. The town will celebrate the efforts of landscaper Mark Wdowiak and his wife, Juanita, and their crew on Nov. 13. A boojum tree and towering saguaros serve as a crowning achievement in the transformation of the town center that less than two decades ago was little more than a dirt parking lot. 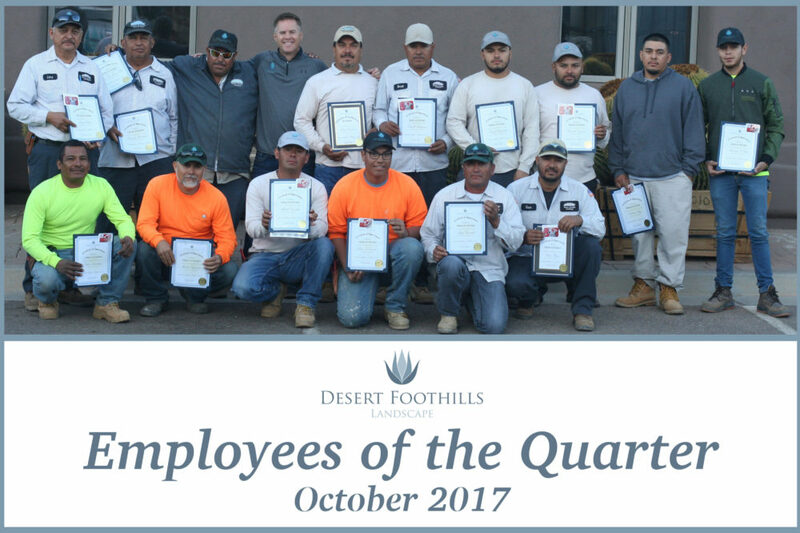 Congratulations to the hardest working employees at Desert Foothills Landscape; earning the Employee of the Quarter Award – October 2017.